We are excited to share about one of our newest staff members at Delta Streets Academy: Melanie Jennings, our new reading specialist. Mrs. Jennings previously spent 32 years in the Grenada Public schools. Dual-certified to teach in regular and SPED classes, Mrs. Jennings works as the “link” between the English teacher and the literature the students are reading, helping them understand reading comprehension and vocabulary. She began the semester working with only a few students and now sees up to 20 students during the week. Mrs Jennings has had such a dramatic increase in the number of students that she works with because of the success that her students have had, and many students who were not working with her originally have actually requested her assistance! Together, Mrs. Jennings and her students have completed a lot of reading in the first nine weeks covering The Last of the Mohicans, Of Mice and Men, The Old Man in the Sea and a few more. While working with students in the classroom and during their study hall periods, Mrs. Jennings also coaches students on organizational skills. For example, she keeps them on track with how many pages a day they need to read to meet test deadlines, encourages them to take notes on what they are learning, and reminds them to not wait until the day before to prepare for a test. Her students have made a lot of progress. This week, a majority of her student’s test grades were 98s and 100s, where at one point they were making 70s and even 40s. Mrs. Jennings has brought academic growth to many of our students and we can’t wait to see how far they will go! 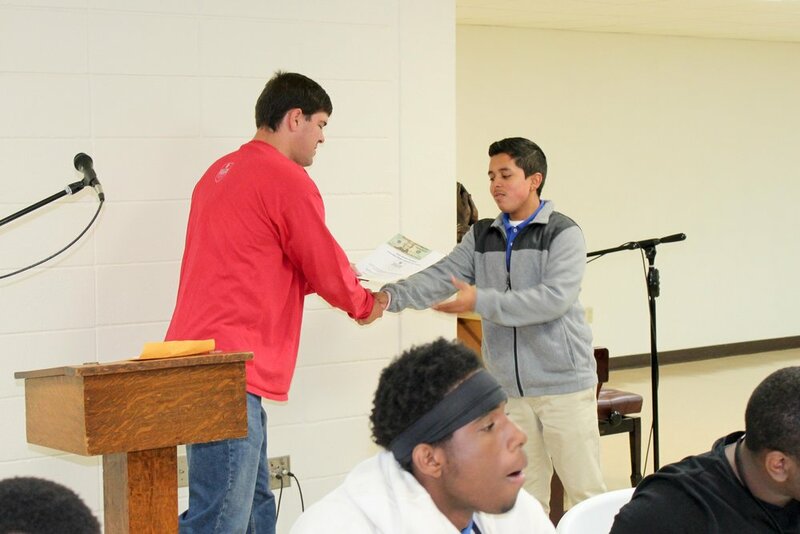 Last week we wrapped up the first nine weeks of the year by giving out awards to some of our students. 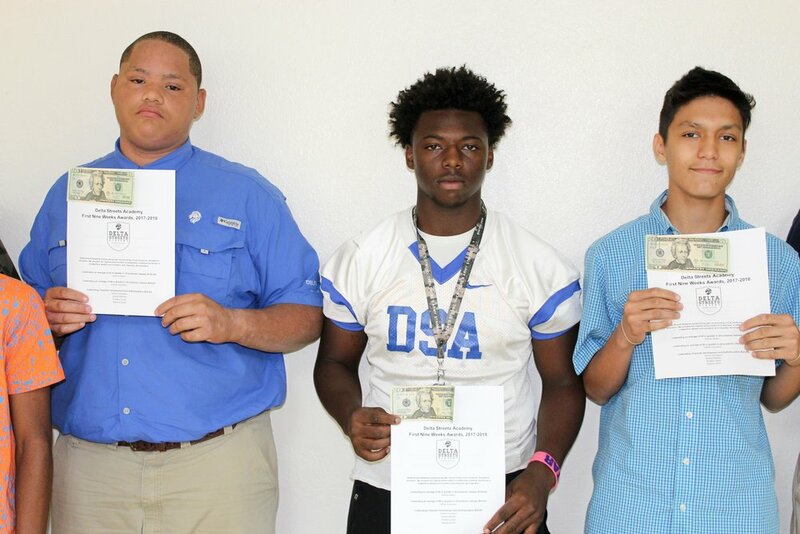 The DSA teachers voted on the awards and student recipients were also given a cash prize to commemorate their success. We gave one academic award to Davion Alston, who was the only student with 95+ in each subject. With this recognition, Davion received $100. We gave Adrian Escudero an academic award for being the only student having 90+ in each subject, and he received a $20 cash prize. 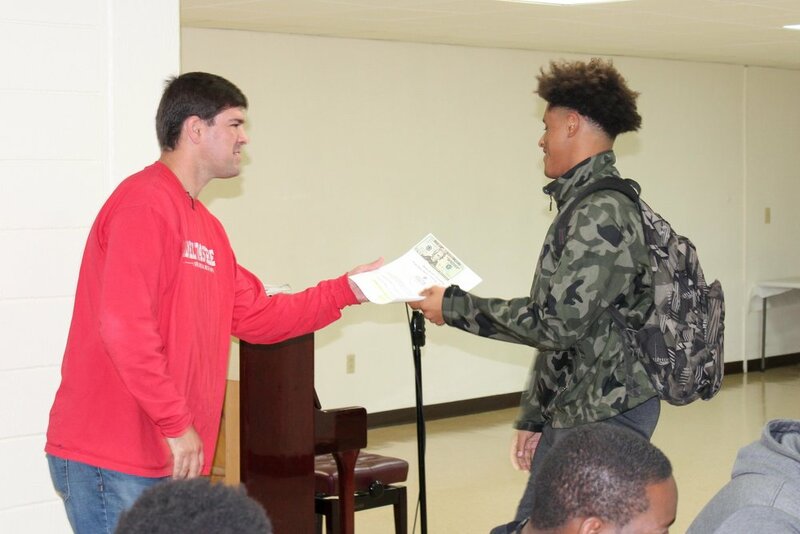 Additional awards and a $20 cash prize were given out to students who have shown exemplary character, athletic leadership and spiritual behavior. This was the first time we have given nine weeks awards and plan to do so at the end of the 2nd and 3rd nine weeks, as well as our regular end of the year awards day where we invite parents. Congrats to all our award winners! We are looking forward to this next nine weeks!